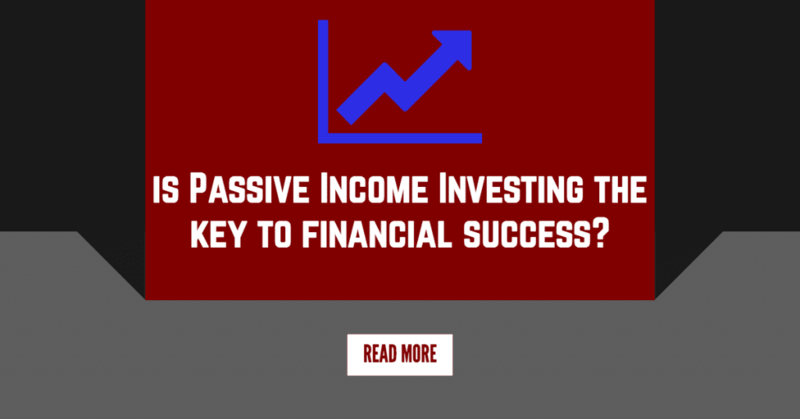 Is Passive Income Investing the Key to Financial Freedom? Even if you enjoy your work, there have probably been times when you’ve daydreamed about easier ways ways to earn an income. You’ve probably asked yourself if there’s a way to work smarter, instead of harder. Whether you’re looking for new business ventures to secure your future, or whether sound investments are more appropriate, a regular passive income through passive income investing will help you find a better work-life balance as you approach retirement and beyond. This doesn’t, however, mean it’s money for nothing – a solid passive income will take some of the longest working hours you’ve ever put in to set up effectively, and it will require your input on an ongoing basis to make sure everything is running smoothly. Although you might not be sipping cocktails on a beach all year round, you will certainly be looking at a working week that runs into hours rather than days. Stocks and shares. If you have a money available to invest, the stock market is always going to be an attractive option if you’re looking for long-term gain, and can weather the inevitable fluctuations in value. Real estate. Bricks and mortar are always a solid investment, especially if you’re looking at rental rather than resale income. A run-down property renovated to a high standard in a good area can bring good returns, but this can be very time-intensive if you are constantly having to supervise tradespeople, and very costly if your property is in another State. Turnkey properties. A far more hands-off investment is to look for turnkey properties for sale that require the minimum in terms of renovation before putting on the rental market, or that already have a long-term sitting tenant when they become available for purchase. With the help of a good agent to manage your portfolio, you can afford to buy in areas where housing costs are low. No investment is without risk—and this includes the passive income investments discussed here. Take stocks for example: at the time of writing – July 2016 – Sterling is at a 31-year low against the dollar, and Brexit is likely to continue to have a global impact on the markets. This could, however, mean that there are bargains to be had in terms of long-term investment, but beware—if you’re looking at a sound return in under a decade, you might want to take some considered expert financial advice before you do so. If you’ve ever watched home improvement shows on TV, you know the pitfalls of a classic fixer upper already. There could be troublesome (and expensive!) problems lurking behind the walls and other surprise repairs could be more costly than you bargained for. None of these are problems that can’t be solved—after all, popular investments are popular for a reason. Sound financial advice and a good property management company can help you avoid some of the pitfalls. And the passive income you’ll generate from your investment is a reward you can reap for years to come.